I admit to not being a big Dolly Varden fan but it's not becasue of a dislike of their music. Mostly it's just been laziness. While living in Chicago for the past decade I've had a multitude of opportunities to see them or Steve Dawson's prior band Stump The Host. It's inexplicable that I've never sought them out. 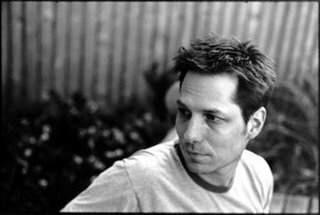 Now that I hear Steve Dawson's (of Dolly Varden) solo record I see at least part of what I've been missing out on. Steve Dawson recorded this album in just about every room of his house, he enlisted wife and Dolly Varden member Diane Christiansen to sing along. With multitracking and a host of excellent musicians Steve Dawson has made an exquisite blue-eyed soul record. It's not the copycat soul of Jamie Lidell (although there's nothing wrong with that) or the authentic soul of Soloman Burke. But it works nonetheless; think Van Morrison or the Finn Brothers. 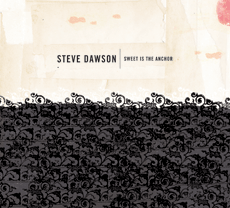 Here's a couple of standout tracks from Steve Dawson's solo debut Sweet Is The Anchor which came out in August of 2005 on Undertow. Don't miss Steve playing Saturday August 12 at Oasys Mobile Stage around 7pm.